the school of stanley. 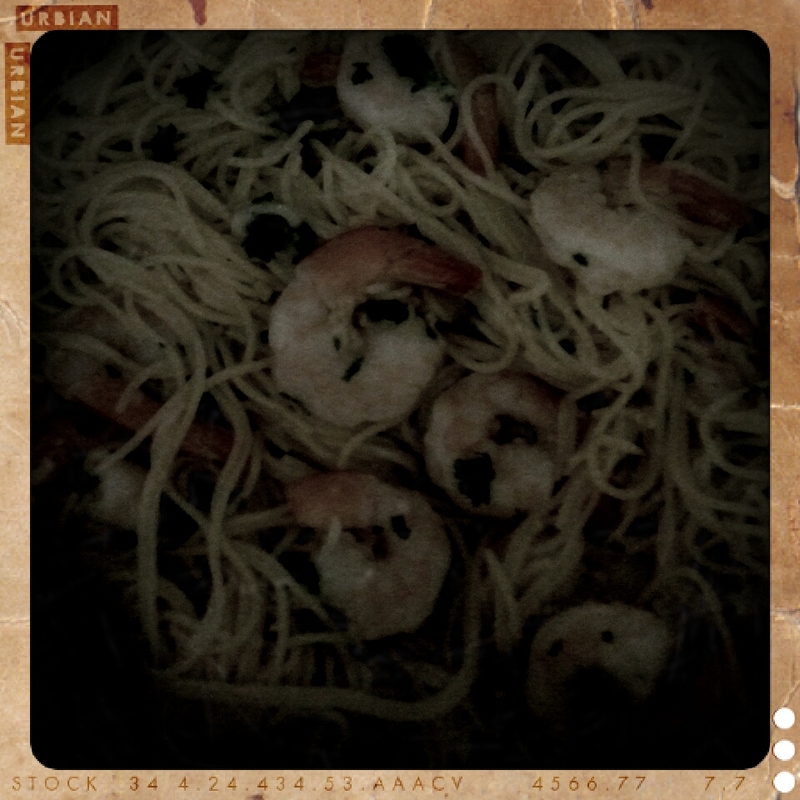 : garlic shrimp and linguine. i'm blogging frequently for two reasons: 1. i go back to school soon and know blogging will probably slow way down. 2. i want to have several posts on our blog before we start sharing it. 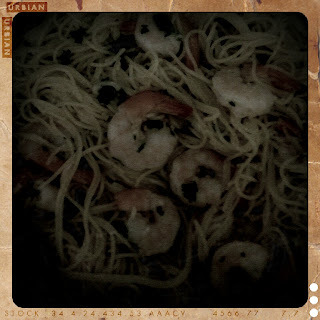 while yesterday's lunch was takeout bbq, today's lunch was a summery homemade treat: garlic shrimp and linguine. delish! i prepared the shrimp by covering it in chopped garlic and parmesan. (i found a jar of chopped garlic at the store a few months ago. i keep it in our refrigerator and use it in practically every recipe. saves so much time.) 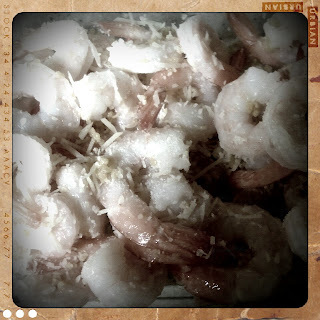 i refrigerated the shrimp while boiling the pasta for five minutes in heavily salted water. 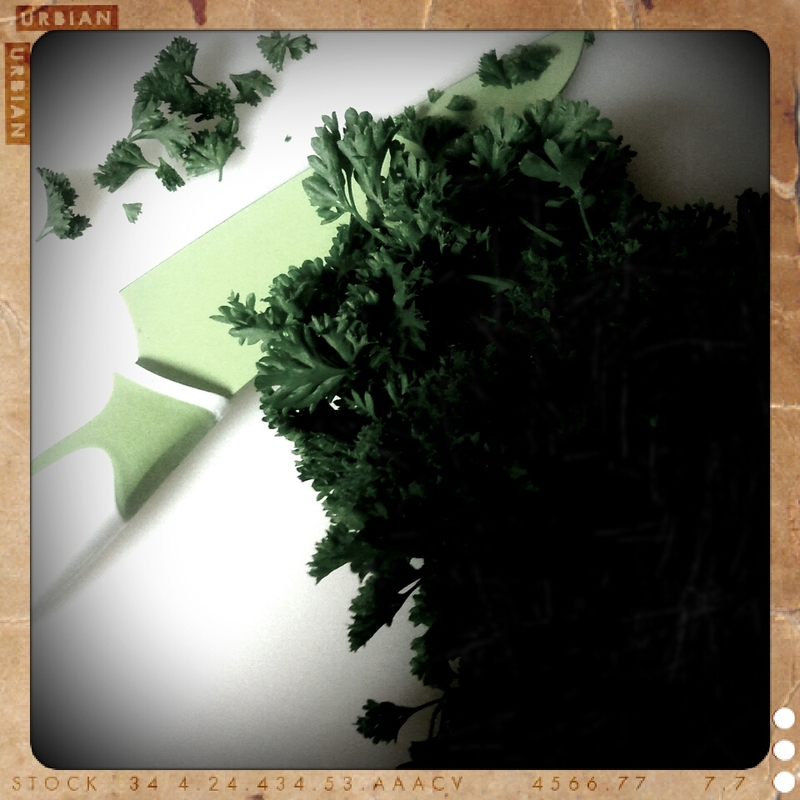 while the pasta was boiling, i chopped eight to ten stems of parsley, minus the stems, of course. after five minutes, i removed the pasta from the stovetop. 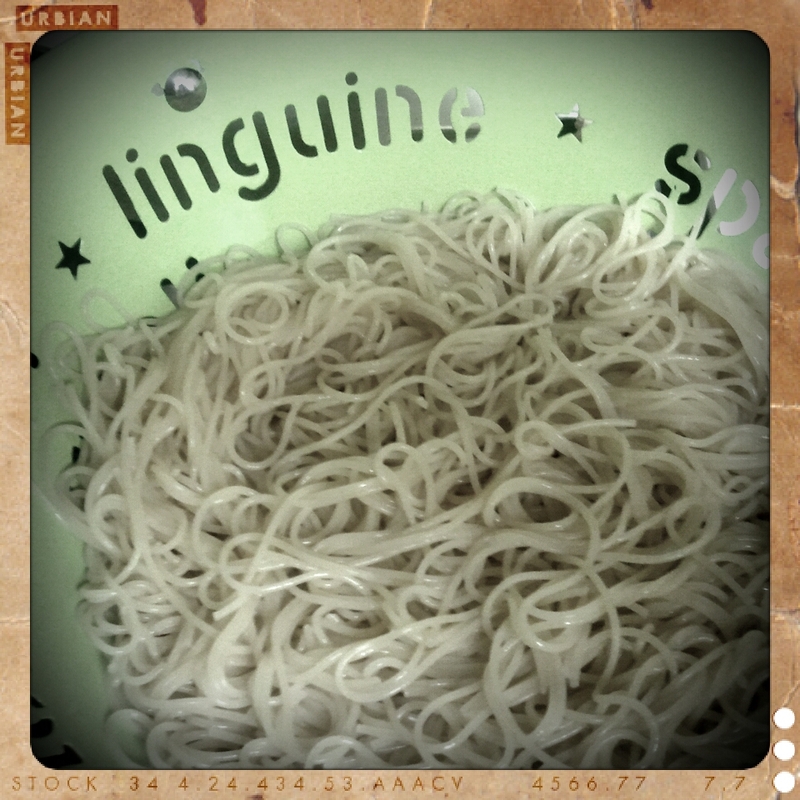 i drained the pasta (i used angel hair but called it linguine because it just sounds better -- and, the strainer just happens to say "linguine." how cute is our strainer, by the way?) 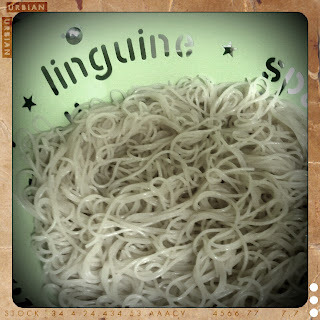 i rinsed the pasta with cold water in order to keep it from overcooking. residual heat is a tricky little devil. oh, oh! 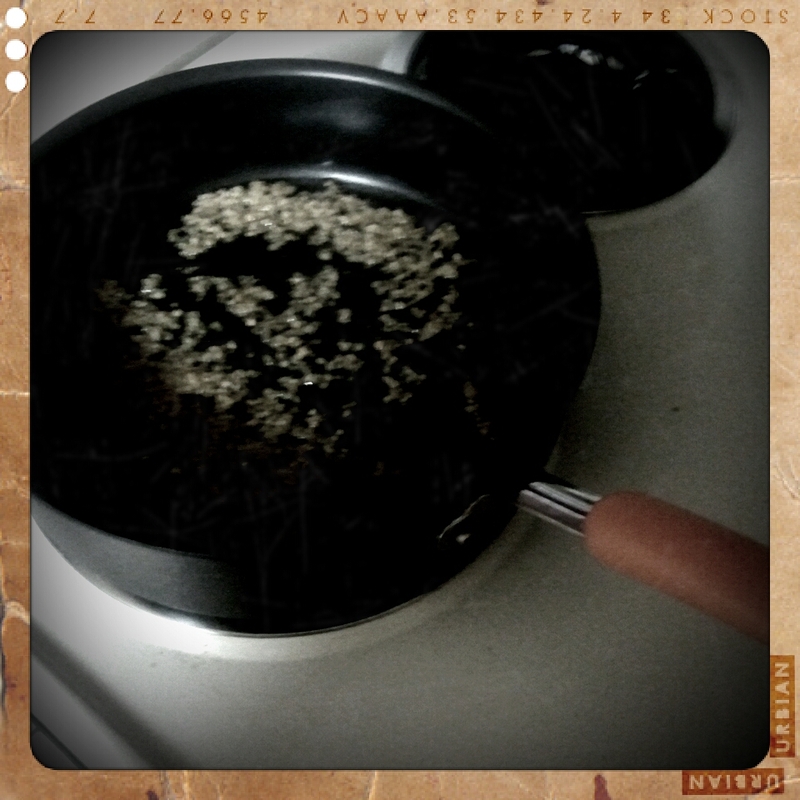 i almost forgot -- keep half a cup of the pasta water. you'll use it in the next step. simmer four tablespoons of olive oil and a good deal of chopped garlic. after a few minutes, add the half cup of pasta water and the parsley. simmer a few minutes longer and then add the pasta. stir until pasta is coated and then add shrimp. stir again and let simmer for at least ten minutes. the final picture is a bit dark, but i was too hungry to take another photo. lunch was so good, and i'm excited to gobble up the leftovers tonight! shane isn't a big shrimp eater, but he complimented the flavor and even ate a few pieces of shrimp along with his hefty portion of pasta. if you decide to give the recipe a try, let me know how it goes. happy eating!